Be the first to share your favorite memory, photo or story of Janise. This memorial page is dedicated for family, friends and future generations to celebrate the life of their loved one. 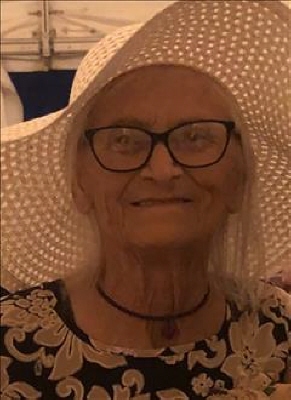 Janise Gunn Riddell, 75, left this world to be with her Lord and Savior on March 22, 2019. Graveside service will be 11:00 AM, Tuesday at Ft. Phantom Hill Cemetery, directed by Abilene Funeral Home. Mrs. Riddell was born June 26, 1943, in California to Jewel and Zelma Gunn. Mrs. Riddell was preceded in death by both her parents, her husband Retired Staff Sargent Ralph Riddell, Sisters Edna Gunn and Detra Howell, and a brother James Gunn. Survivors left to cherish her memory are sons: Victor Alley of Abilene and John Mayhar of Fort Worth; a daughter Lisa and husband Charles Sherrill of Abilene; brothers: Mike Gunn of Missouri, and Gary Howell of Dallas; sisters: Nancy McBride of Dudley, Marsha Gunn of Abilene, Joan Stark of Austin, and Norma Adams of Dallas; five grandchildren and nine great grandchildren, and long time companion Howard Dossey. The family will receive friends at a visitation from 5:00 PM - 7:00 PM, Monday, March 25th, 2019 at Abilene Funeral Home Chapel of Hope. To send flowers or a remembrance gift to the family of Janise Gunn Riddell, please visit our Tribute Store. "Email Address" would like to share the life celebration of Janise Gunn Riddell. Click on the "link" to go to share a favorite memory or leave a condolence message for the family.